I found a new way to bring a fresh pool of cold traffic to my site and, most importantly, to my Facebook Pixel. 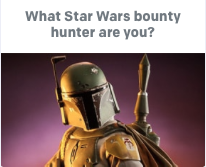 One click takes you to an online quiz to help you determine which Star Wars bounty hunter you are. 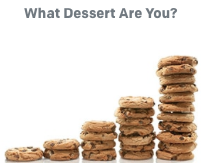 I did a little digging to find out one of the companies serving these quizzes is Qzzr. 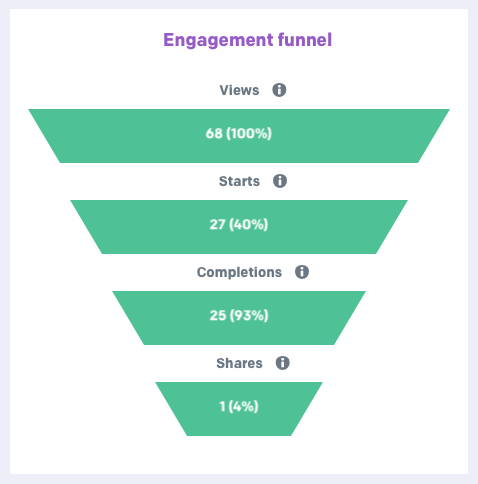 I knew that the viral reach of these quizzes could be significant, so I decided to see for myself just how helpful these online quizzes could be in driving traffic. I started a free account which gives you access to everything you need to get a quiz started. My approach at first was to take as little time as possible getting the quiz out to new users, so I did not goldplate this first version. Here is a screen capture of my rather nondescript entry page for my quiz (check out my quiz here). I didn’t use any fancy background, because that would have taken extra work to put together (since remedied). In total my quiz consisted of 5 questions. I wanted something that people could do in less than a minute. 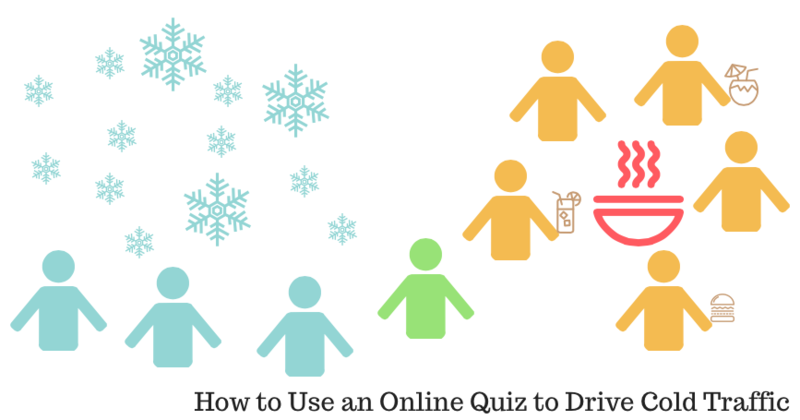 Did the Online Quiz Really Drive Traffic? Yes. All things considered I am happy with the traffic driven to my site. Sure, the price per click was higher than I would have liked. Sure, I didn’t get near the viral reach I would have liked. It is not a blog post, and it is not a podcast. 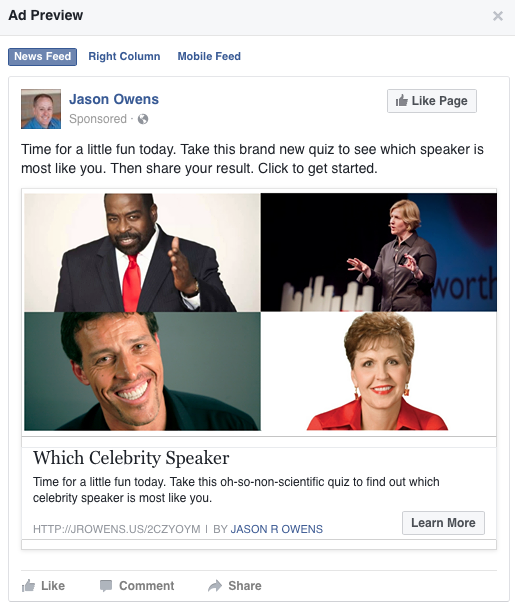 My Facebook ad to 3 different audiences over 24 hours netted 50 ad clicks. I also posted a link to the survey on my FB page, and on my FB profile where the survey received additional traction. My cost per click (or to use the new term, “Cost Per Pixel”) for the Facebook ad was $1.55. The first day of the campaign saw CPP as low as $0.96. As you can see below, the quiz was viewed a total of 68 times, and it received a 40% start rate. Of the people who started, 93% completed the quiz — pretty impressive retention — validating my assertion that keeping the quiz short would help in this stage. Of the people who completed the quiz, 4% shared it. First take away is that I now LOVE incorporating quizzes as a means of driving (and pixeling) traffic. I will certainly do this again. My hunch here is that people didn’t share much because they didn’t like their result. For example, a number of people received the result that they were like Brené Brown. Maybe this works for you if you are a woman, but I could see some men not wanting to share this result. If your answer were closer to “You got Purple Elephant”, perhaps this is less challenging to one’s identity, and you would be more willing to share this with your online tribe. I am in the process of honing and fine tuning my interest-based audiences, and I believe the lack of a well-defined audience really drove my CPP too high. Ideally, I’d like to see my cost per pixel below $0.75. For this first version of the quiz the cover image was a field of turquoise. Certainly does not have the draw of a compelling image with recognizable faces. 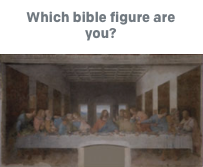 My invitation to take the quiz could be more compelling. This time I constructed the one ad creative so that it contained both genders. The easiest change I could make here is to create a montage of just women and a second montage of just men. Each could be driven to their respective genders via FB ad targeting criteria.